Every January, we dust off our running shoes, renew our gym memberships and vow that this is the year we’ll eat healthy. Usually that means cutting out dessert. But this year, instead of an all-or-nothing attitude, we’re resolving to embrace balance – while still saving room for sweets. 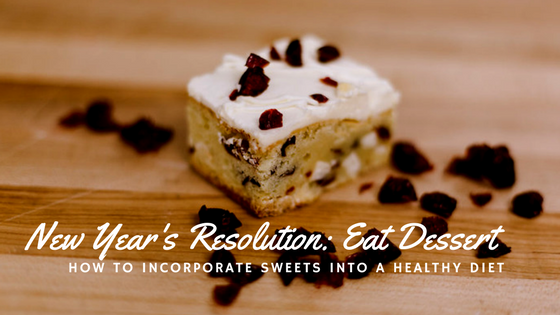 If you have an unrelenting sweet tooth that only an Avocado Brownie can fill, here are our tips for how to include dessert in your diet while still maintaining your 2018 health and wellness goals. 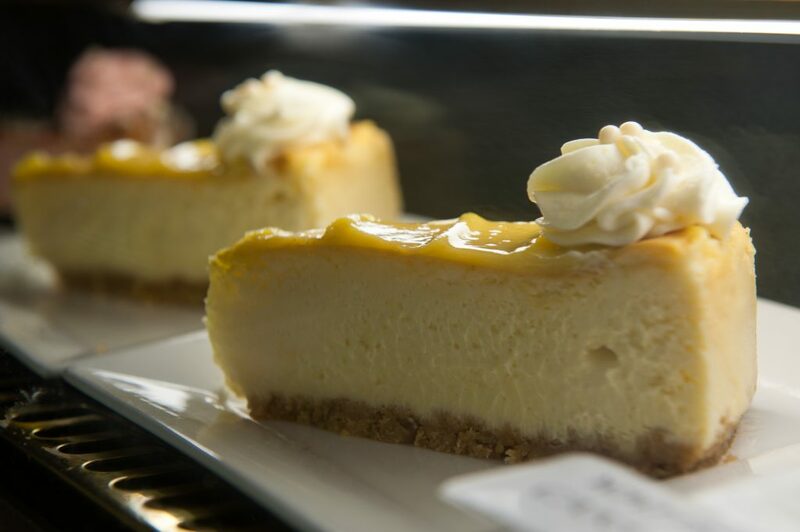 Packaged desserts are often made with a host of unpronounceable additives, refined sugars and artificial colors and flavors. (What is soy lecithin, anyway?) Instead of opening up a package of cookies, solve your sweet tooth with scratch-made desserts made from simple ingredients: butter, sugar, eggs, dark chocolate, avocado. Not only will they taste better, but they’re better for you. 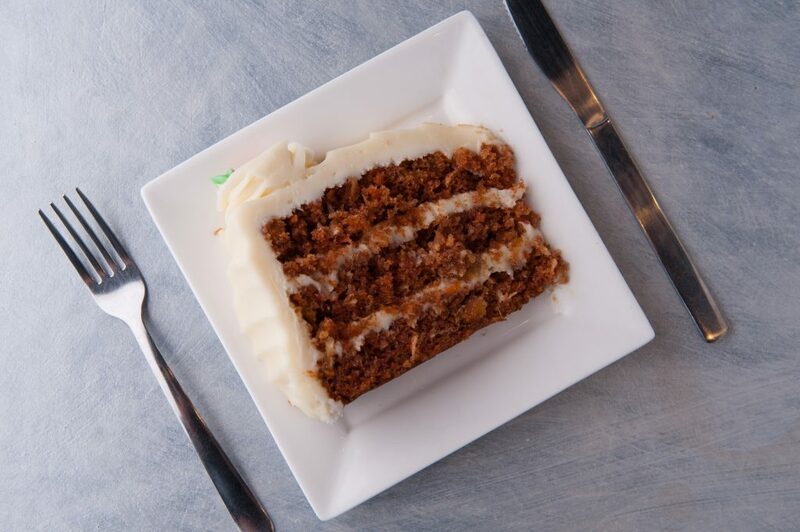 Escape the madness of the everyday by seeing dessert as a special treat. Invite a friend for tea, coffee or a cocktail and catch up over a slice of cake, cup of ice cream or macaron. Not only will you save calories, but you’ll boost your social life as well. If you love traditional chocolate cake, why not try a vegan, gluten-free Avocado Brownie? 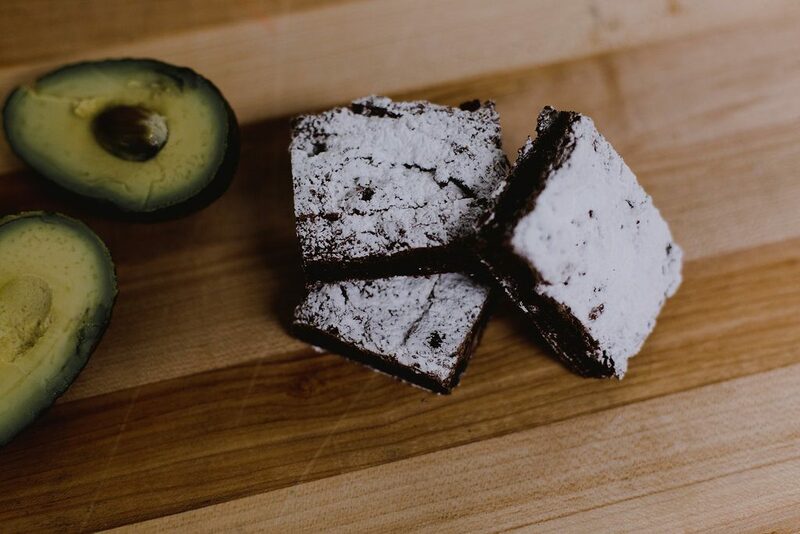 Packed with antioxidant-rich dark chocolate and healthy fats from avocado, these tasty treats pack a nutritional punch with all the flavor of your favorite brownie. With no animal products or wheat flour, they’re a delicious treat for those who are gluten-sensitive or embracing a plant-based diet. 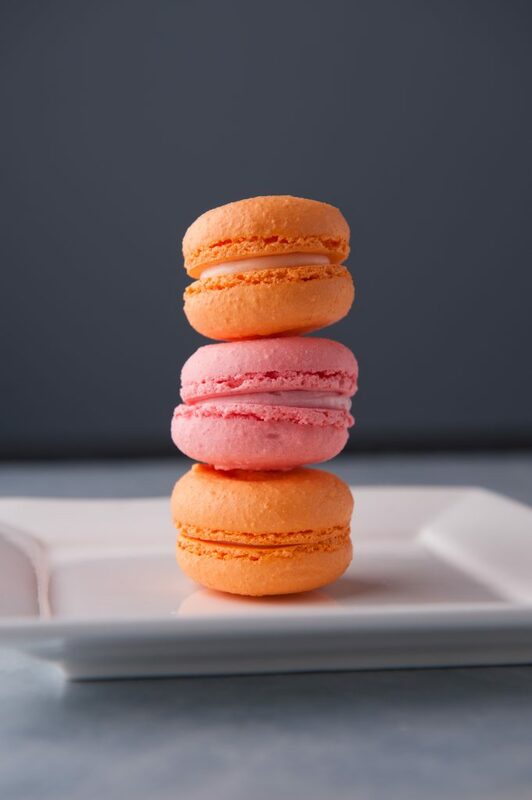 Tame your cravings with bite-sized treats like mini tarts, macarons or cake balls. These small, but mighty desserts will satisfy your sweet tooth one bite at a time. 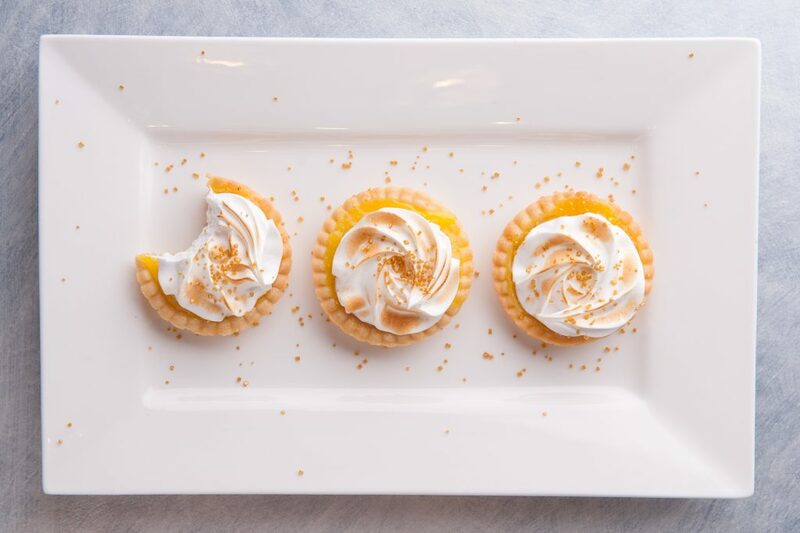 From lemon tarts, to salted caramel macarons, you’re sure to find a tiny treat that makes you swoon. 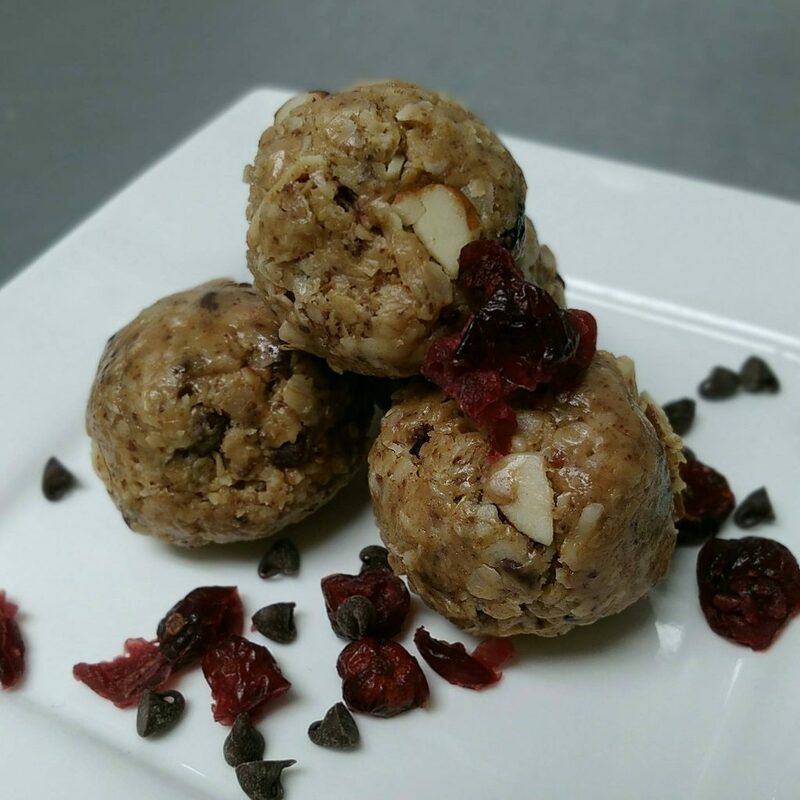 If you’re craving sweets, but cake, cookies or macarons won’t cut it, fuel up with a cup of coffee, tea or our Energy Balls. Tea has numerous health benefits, and has been linked to weight loss. And coffee has been shown to provide a boost of energy to help you bust through your weekly workouts. Our Energy Bites, loaded with wholesome oats, almonds, peanut butter, dried fruit and chocolate, provide a slow-burning energy to power you through your day. Don’t quit dessert in 2018, but embrace it as part of a healthy, balanced lifestyle. Whether you stop in for a cup of tea or a slice of cake, we’re here in the Haymarket to help you escape the madness and make every day feel a bit more like Wonderland. Thank you for making us a part of your lives and we wish you a sweet 2018 full of love, life and, of course, delicious treats.